ETS train to Padang Besar is one of the popular train routes in Malaysia because Padang Besar is the gateway to go to Thailand cross border. Apart from the locals, tourists who wish to travel to Thailand after done exploring Malaysia also prefer to take this ETS train service. The conditions of the ETS trains are always in a great care of the staff. The facilities and the safety measures provided in the train ensure a comfortable train ride for all passengers. 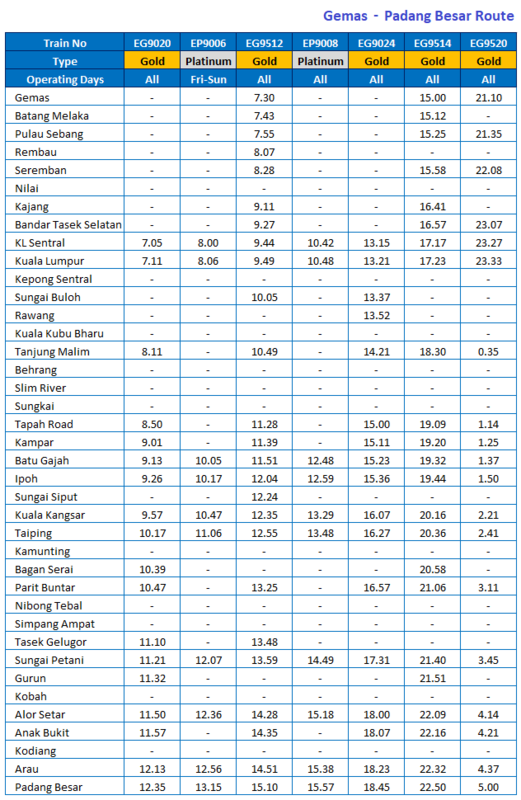 Click here to see the ETS train schedule for Gemas to Padang Besar route. There are actually two Padang Besar train stations. One is located in Malaysia before the cross-border line; another one is located in Thailand around 6km away from the first one. KTM Padang Besar train station is located in Perlis, near the cross-border line between Malaysia and Thailand. If you plan to go to Thailand after the train travel to Padang Besar, you can do the customs and immigration process inside the Padang Besar train station. Just follow the signboards once you alight from the train to get your passport stamped. Other facilities in the KTM Padang Besar train station include washrooms, restaurants, and money changer. Book your train tickets in advance online to avoid disappointment. Booking online at BusOnlineTicket.com is easier especially with our mobile-friendly website and various payment gateways available. In addition, you also get to save the time and cost of going to the train station just to book the ticket. Easily Book Your Train Tickets to Padang Besar Online Now!